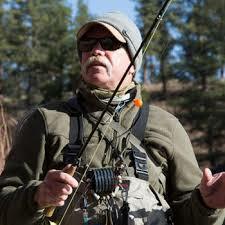 Duane Redford comes to the Wasatch Expo “On The Water” day with 12+ years of guide work, 20 years of teaching and 40 years of holding a fly rod. This all comes together in his class for the perfect drift. Duane will begin with rigging methods and options for different water conditions, hatches and fish feeding behaviors. Followed by reading the water both horizontally and vertically as well as mending techniques. Once on the water the all the intricacies of the drift will begin to take shape. Finally, all of this will culminate in developing trends and patterns of the prefect drift through observation.